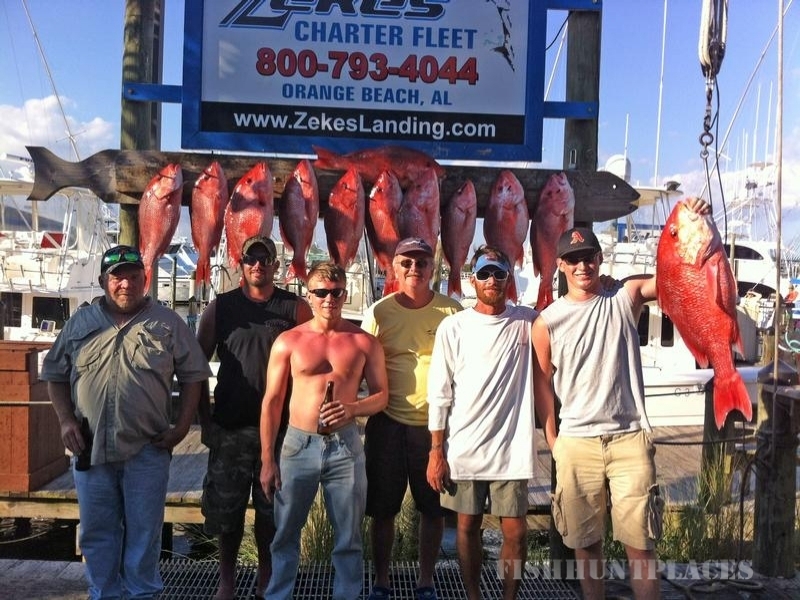 The Aquastar charter fishing boat is a full service deep sea fishing charter boat that was designed and built for fast, smooth, and comfortable fishing trips. Docked on the Alabama Gulf Coast’s Highway 182 in Orange Beach, Alabama; the Aquastar is convenient for visitors from Gulf Shores to Perdido Key, Florida. 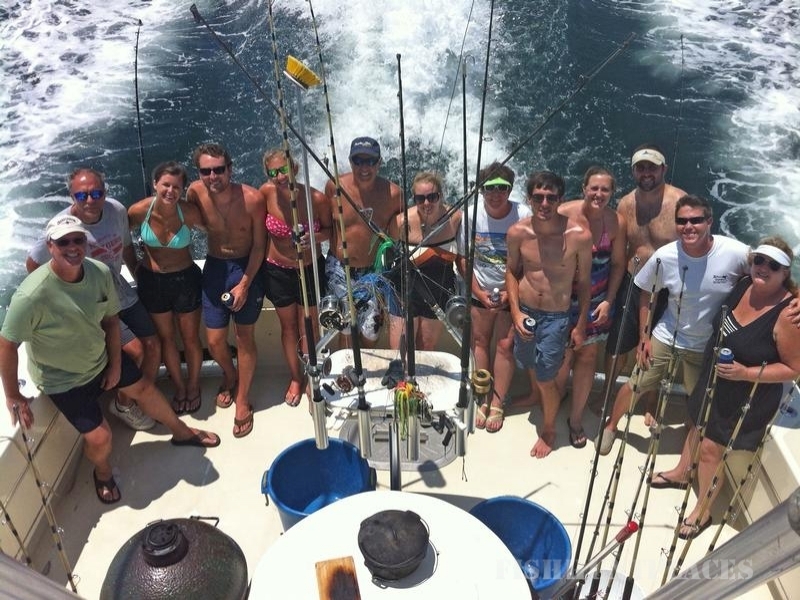 The charter fishing crew can be in the emerald water of the Gulf of Mexico in less than 5 minutes. This air-conditioned 2001 Gillman 57' charter fishing boat is equipped for offshore bottom fishing trips, overnight tuna and blue water bill fishing, and tournament trips. High quality tackle from Penn, Shimano, Star, Fenwick, and local custom rod builders are provided aboard the Aquastar. As well, you’ll have the pick of live, natural, and artificial baits; and have use of the large live well located in the center of the Aquastar’s fishing deck. 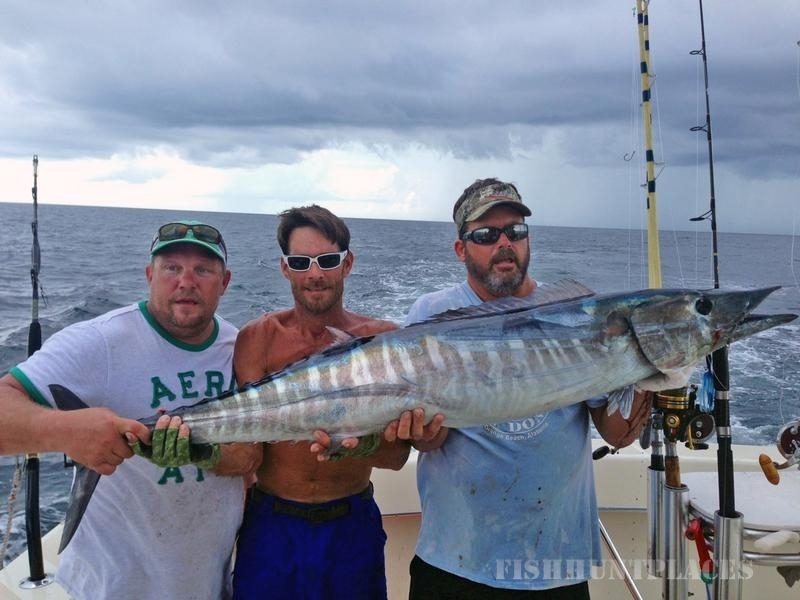 The large live well is very beneficial for amberjack, grouper, and tuna fishing. The Aquastar has a passenger capacity of 18 and charter fishing capacity of 10 - 15 for day trips or 8 - 10 for overnight trips. The charter fishing boat has a roomy interior with large seats, a shower/toilet and 8 bunks, and is equipped with: a 32" Flat Screen TV w/ DVD, Stereo/CD player, microwave, refrigerator, 2 air-conditioners, and a Big Green Egg grill. Aboard the Aquastar, you are supplied with everything but food and drinks. Captain Jason Vicars and our courteous deck mate are here to help you catch the "big one", so enjoy your charter fishing trip on the Aquastar!